I recommend to use the graph or table if you kid does not understand algebra fully. The first case the Blue is 7 times of (R-30). The second case is the Blue is 50-R/2. Then, a simple algebra can resolve this. Please ask your kid to draw and understand the problem…. Hi, everyone. 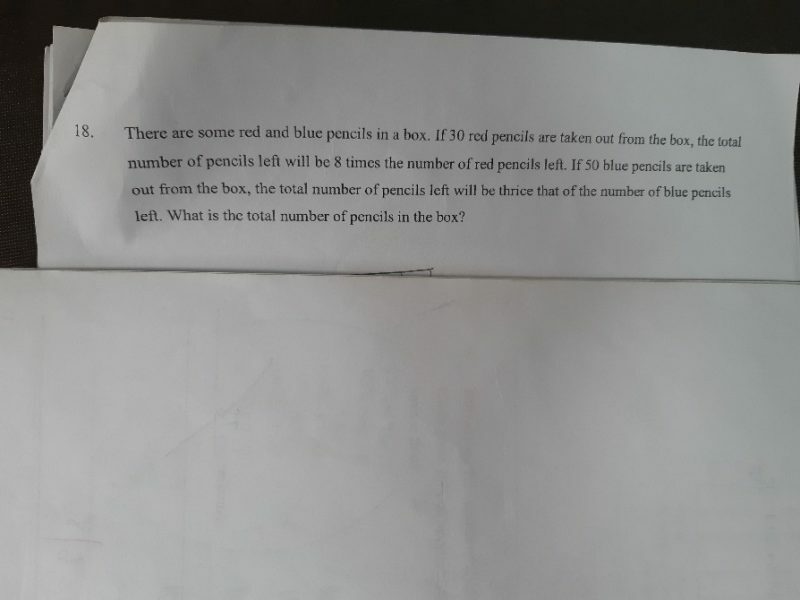 Just came across this interesting question and attempted to solve it. But I have gotten a different answer. Need advice from the experts here to let me know where my mistake is. At first, there are r red pencils and b blue pencils in the box.